A one-hour show, beginning at 7 pm, is a sneak peek of the 2017 Summer Mainstage season with songs and bits of scenes performed, along with other special moments. Jonathan Tolins, Noah Himmelstein, Scott Schwartz. Sag Harbor, NY - April 25, 2017 - Bay Street Theater & Sag Harbor Center for the Arts is pleased to announce that The 6th Annual Honors Benefit: Curtain Up! will take place on Monday, May 15 from 6-8 pm at Joe's Pub at The Public Theater in New York City. Ticket prices range from $150 to $500 and tables of 4 or more are also available. Tickets can be purchased online at www.baystreet.org or by calling the Bay Street Theater at 631-725-0818 and asking for Kim Fink. The administrative office is open Monday through Friday, 10 am to 6 pm. The evening begins with cocktails and light bites served for Bay Street patrons and their guests, with mingling continuing for about one hour. 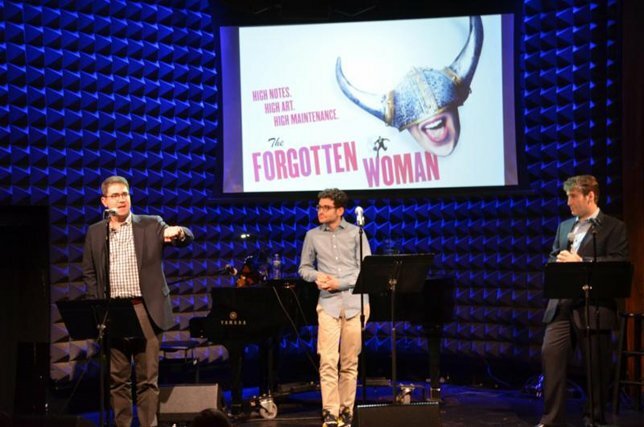 A one-hour show, beginning at 7 pm and hosted by Scott Schwartz (Bay Street's Artistic Director), is a sneak peek of the 2017 Summer Mainstage season with songs and bits of scenes performed, along with other special moments, including the honoring of special guests Richard Kind and Jules Feiffer. The show will feature performers and creators of the Mainstage line-up including Tony nominated Andrew Lippa (composer of The Man in the Ceiling). Roger Rosenblatt, playwright of Thomas Murphy, will also be attendance. The world premiere of two songs composed by Academy Award winner Stephen Schwartz (Wicked, Pippin, Godspell) from As You Like It will be performed. The 6th Annual Honors Benefit: Curtain Up! is sponsored by Hamptons Magazine. For more information, log on to www.baystreet.org or call Bay Street Theater at 631-725-0818 and ask to speak with Kim Fink. Subject: LongIsland.com - Your Name sent you Article details of "Bay Street Theater 6th Annual Honors Benefit: Curtain Up! at Joe's Pub in NYC, May 15"